Anthony has over 20 years’ experience in business and technology of banking and finance industry including superannuation; specialising in Internal Audit, Fraud Investigations, Risk Management, Information Security, SOX Compliance and Business Process Improvement within Europe, Asia and Australia region. Successfully directed strategic planning, audited, and improved results. Skilled at developing innovative solutions to improve revenue, ensure compliance and cut costs. Anthony’s professional certifications include Certified Information Security Manager (CISM), Certified in Risk and Information Systems Control (CRISC), Certified Fraud Examiner (CFE), and ISMS & QMS Auditor. advisory), technology and business skills. Daniel has worked across a range of private industries including finance, banking, telecommunications, insurance, and manufacturing. Additionally, Daniel has experience in both state and federal government. An MBA degree, majoring in IT Management (1989) with Post Graduate Diploma in Business Systems from Monash University (1991). Have 19+ years experience in IT of which 14+ years have been in Australia. An individual with stable career progression, including executive leadership. Experience in Information Security, ICT Governance, IT operations, Strategic ICT planning, Consulting and Business Process Re-engineering. Posses a strong technical, financial and business acumen. Management skills are evidenced through successful management of teams at a National Level. Staff mentoring skills, have been demonstrated through managing technical, pre-sales and sales teams. Demonstrated success in building, fostering and nurturing relationships – with customers, employees, vendors and partners. Demonstrated expertise in Information Security Standards – IRAP Certified Assessor. For over 20 years Andreas has been working in IT and during that timeframe he has worked as a Consultant for all kinds of organisations, across various industries, including the public sector. Starting of with research in the area of Open Communication Systems, then focussing on IT Infrastructure and lately concentrating on IT audit, security and risk management. A tertiary qualified Business Operational and Technology Governance, Risk and Compliance professional with over 13 years of experience in risk and control management across private and public industry sectors within Europe, Asia and Australia. Mitra has worked extensively with CROs, CIOs, Heads of Risk & Compliance and IT Managers and successfully formulated numerous Business and IT strategies and supporting governance structures. I have managed large scale programs and projects and extensive budgets with focus on risk identification and management and compliance with local and international regulatory requirements. She is a Subject Matter Professional in AS/NZS 31000, COBIT (licensed COBIT 5 Trainer), APS115, APS231 and APS232, ISO27001/2, VAL IT, ITIL and Sarbanes Oxley. Accomplished, senior InfoSec professional with broad marketing experience, encompassing strategic planning, qualitative and quantitative research, interactive marketing, sales promotion and visual merchandising, with the ability and skill set to provide creative, innovative, enthusiastic and forward thinking leadership in a team environment. Focused on achieving continuous, improved business performance. Strong diplomatic skills and a natural affinity for cultivating relationships and persuading convening facilitating and building consensus among diverse individuals. international expertise and wide knowledge base, allow him to deliver solid results, as an effective organisational change agent. In Australia over the last 10 years, Joseph’s know-how has been embedded in performance and compliance uplifts of 24 diverse Australian organisations. Complementing his broad ITSM knowledge base and track record, is Joseph’s experience in; Governance/Risk/Compliance, Training and Development, Knowledge Management and Organisational Learning concepts. Joseph is an Accredited SFIA Consultant, an approved CITP assessor for the British Computer Society and professional member of the BCS, ACS and ISACA. Mike is Managing Director of Information Integrity Solutions, Managing Partner of Cyber Risk Advisors, and is also the Global Practice Leader Cyber Security for ICG, a disruptor in the management consulting space. He is an internationally recognized leader experienced in information technology, risk, and security with over 30 years of experience. He had leadership roles in EY’s Asia Pacific, FSO, and Oceania Advisory Cyber Security and Infrastructure Risk and Controls services teams over the past 10 years and also established the Melbourne Advanced Security Centre. Prior to joining the National Australia Bank Group’s strategic technology risk and security function, he lead a one year assessment of all 12 major critical infrastructure telecommunications and energy companies for NY State Department of Public Service – post 9/11. He was also a partner at KPMG’s IRM team in NYC, a principal in MasterCard International’s $65M strategic systems refreshment programme Omni, and a Senior Technology Auditor, helping build world class internal audit department at Salomon Brothers, post scandal. He started his career as an management consultant at Price Waterhouse. Mike is a 35+ year ISACA member. Wayne Tufek is currently a Director of CyberRisk (www.cyber-risk.com.au). For over 20 years he has formulated pragmatic, business driven strategies to establish, execute and improve cyber risk management in ASX listed companies and some of Australia’s largest organisations across the public sector, Big 4, financial services, consumer products, education and retail sectors. Wayne is a member of Chartered Accountants Australia and New Zealand and holds the SABSA SCF, CISSP, CRISC, CISM, CISA, PCI QSA and ISO/IEC 27001 Lead Implementer qualifications. He is frequently asked to present at security conferences and events in Australia and internationally including the Australian Cyber Security Centre Conference, AusCERT, RSA APJ and CeBit. Zafar Issadeen is the Technical Director and is responsible for the management of the Chapter Website. Zafar has extensive experience spanning 10 years in consulting as the Head of Project Delivery at QA-Software and previously as an ICT Advisor with KPMG. 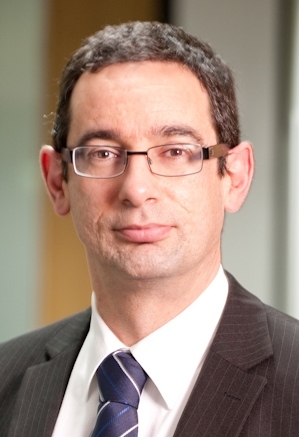 John O’Driscoll is the current Certification Directors on the ISACA Melbourne Chapter Board. He moved to Melbourne from Sydney in early 2011 to take on the role of Senior Manager Information & Technology Risk with the ANZ Banking Group. Prior to moving to Melbourne, John was the Head of IT Risk and Security at AMP, and has over 25 years experience in IT Risk and Security. He has held senior executive positions in IT Risk, Security, BCP, and IT Audit in a number of major financial institutions and the public sector. John has a keen interest in the IT risk management profession, and has been actively involved with ISACA and the IIA for many years. John is also a member of the ISACA Global Privacy Guidance Taskforce. John has been a university and college lecturer, and has presented a number of papers at international and local conferences.